It is fashionable today to hate social media and large swathes of the World Wide Web. The large tech company’s, Facebook, Twitter, and Google in particular but not exclusively, deserve a lot of blame for the toxic culture of the Web today. It is easy to dwell on the, as Tim Cook famously called Android, “toxic hell-stew” that the Web has become. I have noticed a fringe movement in the Linux community that has even resurrected Gopher as an alternative to the Web which they see as hopelessly broken today. But I do not want to dwell on all the negative aspects and instead want to focus on a few of the bright spots that I have run across that add to our humanity. This will not be an exhaustive list but it is a few of the most notable that come readily to mind. I do not recall exactly how I ran across each of these but that is a bright spot on the Web, its discoverability (thank you Google). As a book lover and voracious reader, I have always found a certain voyeuristic joy in finding out what others are reading. 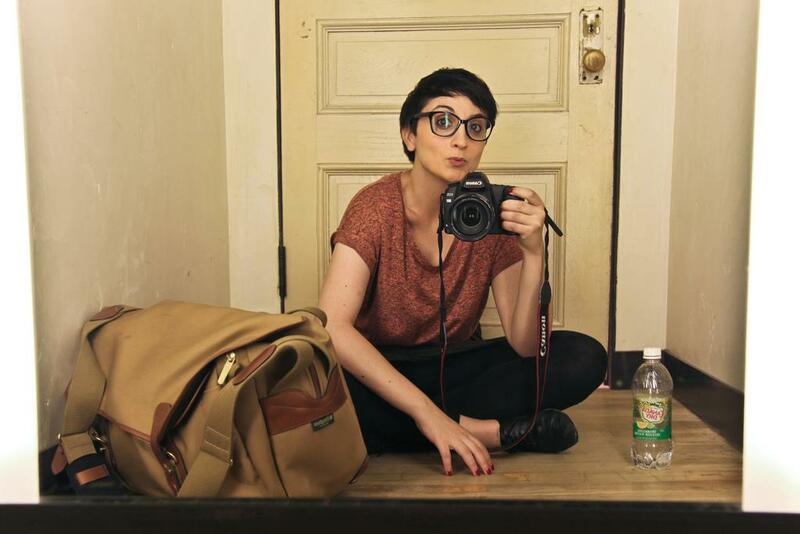 Before Humans of New York was a huge success an artist by the name of Ourit Ben-Haïm was posting photos of readers on a blog titled The Underground New York Public Library. 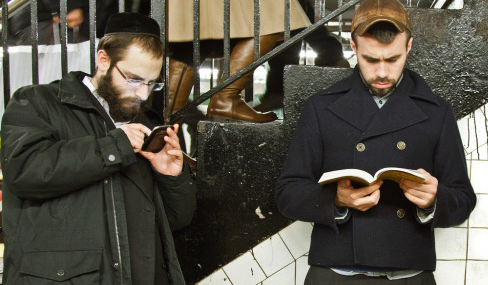 She has since left The Underground New York Public Library behind her but continues to post incredible photos on her Facebook page from her new home in Jerusalem, Israel. Exploring humanity by walking is not new. A rich genre called travel literature has sprung out of this desire to experience culture. 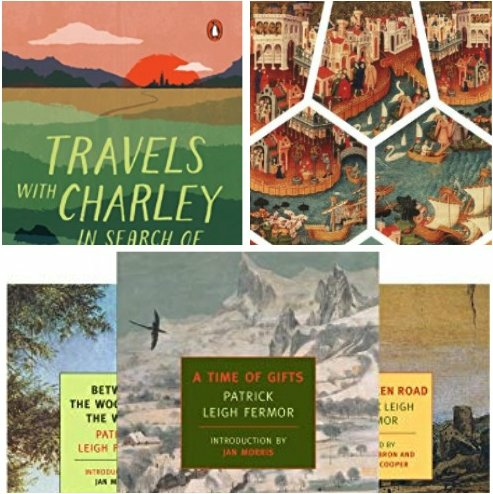 A few notable books to investigate in this genre are Travels with Charley by John Steinbeck, In Xanadu by William Dalrymple, The Road to Oxiana by Robert Byron and the travel trilogy of Patrick Leigh Fermor Journey Across Europe. When it comes to the Web, three incredible sites come immediately to mind for me in this genre. 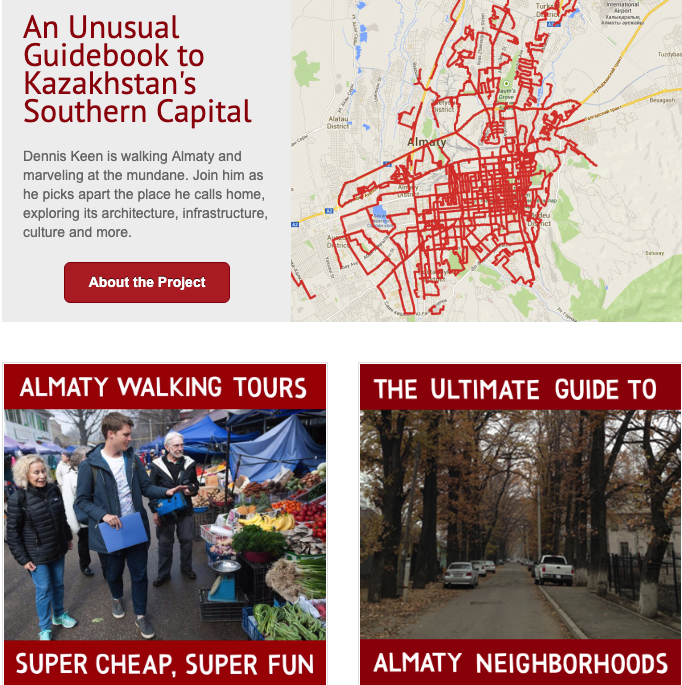 The first, and the earliest I ran across, is called Walking Almaty. This site was founded by Dennis Keen when he was studying abroad in Almaty, Kazakhstan in 2013. He decided embraced his love for walking with his curiosity to explore. It has since grown into an incredible project worth checking out even if you only want to explore Kazakhstan from afar. Second in this sub-genre is an interesting project sponsored by the National Geographic Society called Out of Eden by reporter Paul Salopek. 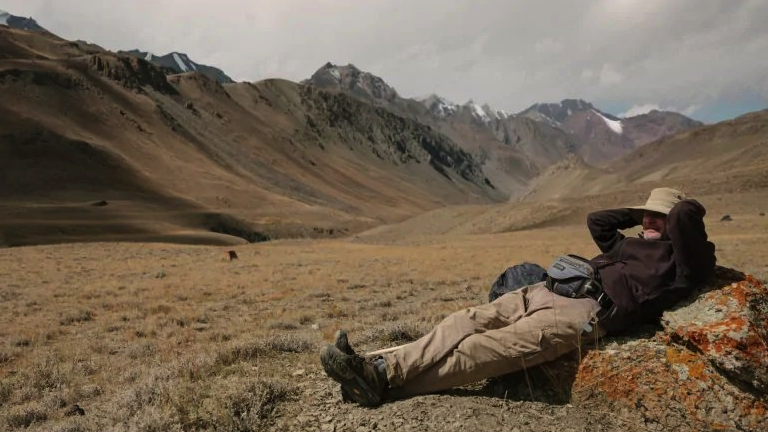 Paul is walking 21,000 miles on a multi-year journey to retrace the spread of humanity which he began in Ethiopia in 2013. He posts vivid photographs and interesting videos as he journeys to the tip of South America exploring all of the culture he encounters along the way. Third, and final for this post, is a blog from a local Green Bay, Wisconsin area blogger. It is an incredibly uplifting way to view life as an adventure worth exploring each and every day. The site is called Life as a Field Trip. This blog attempts to turn everything, including what most of us would view as the mundane things of life, into an exciting moment of wonder. 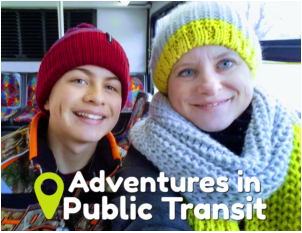 It does this by chronically a mom and her son’s adventures from the mundaneness of the Wisconsin winter through a trip using the public transit system. These are just a few of the things I have found on the Internet (WWW) that are inspiring and explore humanity. I am sure that more exist out on the Web waiting for me to discover them.